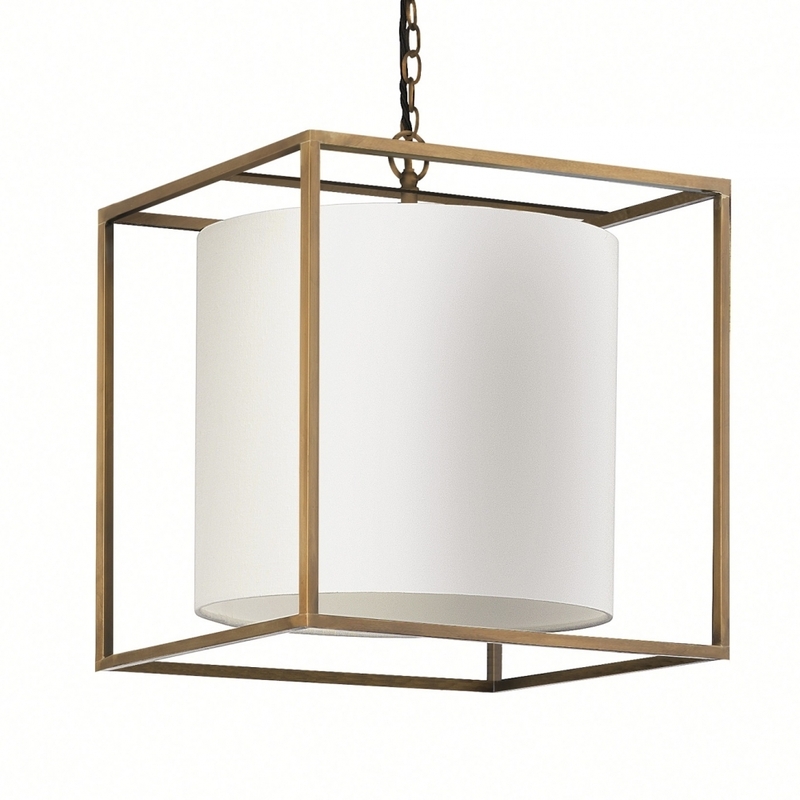 The Derwent Cube Large Pendant Light by Heathfield & Co has a timeless glamour that suits both contemporary and traditional interior schemes. The elegant design features a solid metal frame that envelopes a luxurious cylindrical shade. Available in both rich antique bronze and nickel finishes, this striking pendant light will look beautiful hung in a porch or hallway. Shown here with an oyster linen shade, other fabric and colour options are available. Make an enquiry for more information. Priced for 12" Medium Drum shade in silk with white PVC lining. Please contact us for other options.